Jeff Begine Ng is an entrepreneur and angel investor. 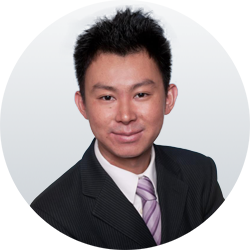 He is cofounder of Guru Online (HKEX: 8121), a digital marketing company with 300 talents across 5 offices in the Greater China. He has invested in EV charging solution, IP Tech, cold pressed juice, e sports as well as blockchain based projects. Prior to start up life, he worked at McKinsey & Company as consultant and obtainer his degree at the Wharton School of University of Pennsylvania.